One of the more unresolved elements of The Force Awakens is the question of what happened to Poe Dameron. Oscar Isaac’s ace fighter pilot helps John Boyega’s Finn escape to Jakku, only to seemingly get killed in their crash landing. But later in the movie Poe turns up unharmed at the Resistance base on D’Qar for a heartwarming (and some would argue romantic) reunion with Finn. 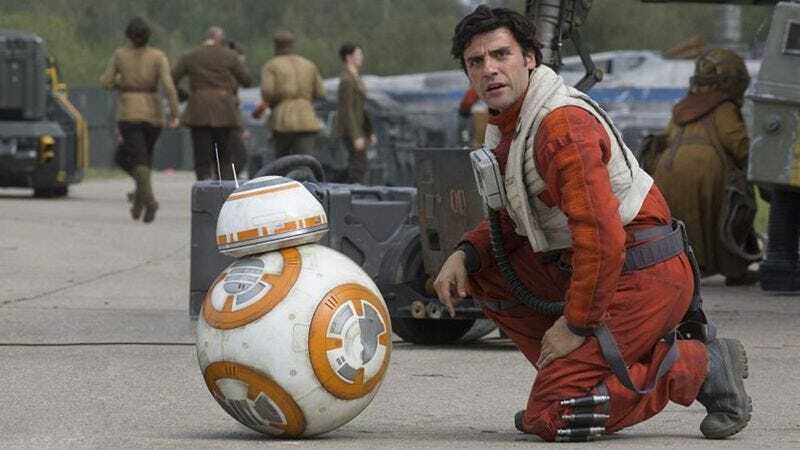 The out-of-world reason is that Poe was initially supposed to die in the crash scene before J.J. Abrams decided to keep him around. And now Lego Star Wars: The Force Awakens is filling in the gaps from a story perspective too. Now Lego Star Wars just needs to get around to filling in all of those other Force Awakens plot holes, like how Kylo Ren got off the about-to-explode Starkiller Base and why that Base had long railless walkways over giant open chasms in the first place.